The resort has a range of facilities including a welcoming reception open from 07.30 until 02.00hrs (later on request) during the summer months May - October and on request during November to April, Free WIFI available in reception, restaurant and outdoor areas, safety deposit boxes, a lounge bar and pool bar and a restaurant serving breakfasts & lunches, lounge/t.v. area, an outdoor swimming pool and a sunbathing terrace. 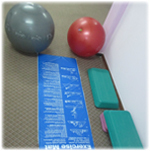 The health centre comprises of a well equipped gym.